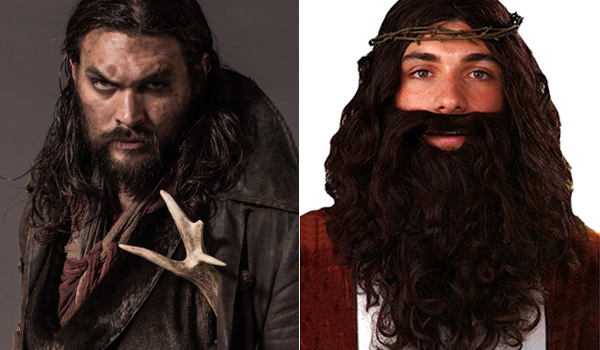 Jason Momoa portrays Declan Harp in the Frontier TV show. The show narrates the battle for wealth and power in 18th century Canada fur trade. Declan Harp, portrayed by Jason Momoa, is one of the main characters of the show, he is a part-Irish/part-native outlaw who is violently campaigning to breach the Hudson's Bay Company's monopoly on the fur trade. The first step to look like Declan Harp is probably to have long hair and a full grown beard. This takes time and might not suit an everyday appearance for you. The easiest way is to buy this Jesus wig and beard set from which you can easily remove crown of thorns and maybe cut excessive beard. 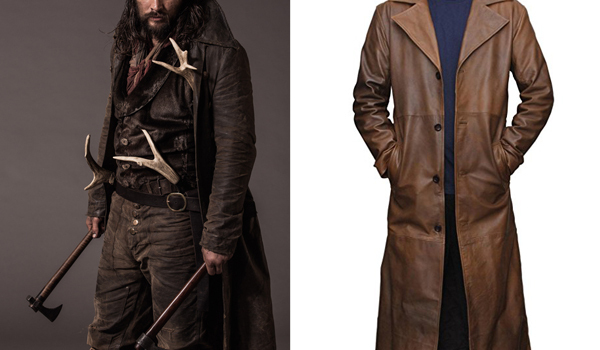 The coat that Jason Momoa wears in Frontier for his Declan Harp role is a full length vintage leather coat. It is custom made for the show by costume designer Michael Ground. With that being said, this leather trench is a close match. Wear it open like in the show. 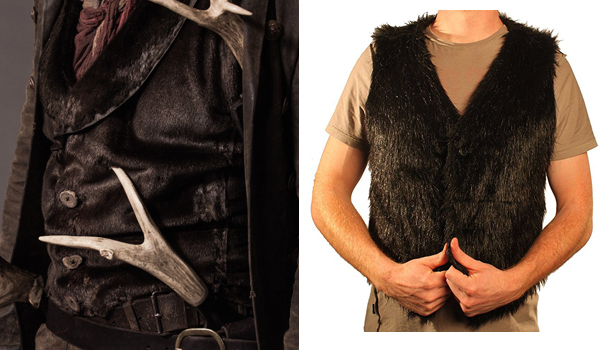 The vest that Jason Momoa wears in Frontier for his Declan Harp role is a distressed fur vest. It is custom made for the show by costume designer Michael Ground. This faux fur vest is a close match. 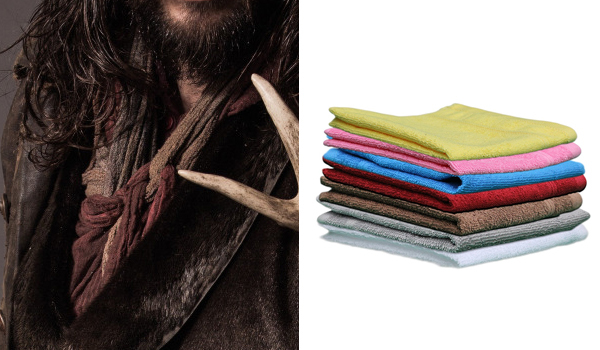 The scarf that Jason Momoa wears in Frontier for his Declan Harp role is made from multiple scraps of cloth of gray, red and pale yellow colors. You can make it by ripping off old tshirts and towels and tie them together. 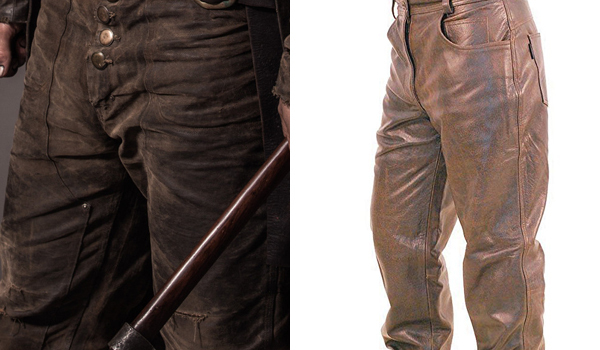 The pants that Jason Momoa wears in Frontier for his Declan Harp role are custom made leather working pants. If you can afford it, we recommend the Jamin Leather Pants. If not, you can wear brown pants and simply add leather fabric around your legs up to the crotch. There are scenes where Declan Harp actually does that (but still has the leather pant underneath). 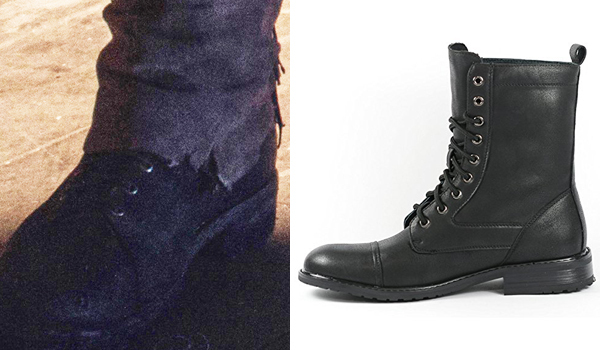 The boots that Jason Momoa wears in Frontier for his Declan Harp role are thick black leather boots with silver shoelace holes. We recommend buying retro boots but depending on your everyday style, black timberland's are a great option too. 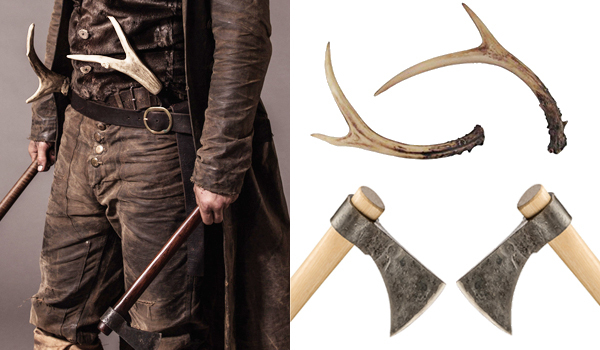 The axe that Jason Momoa wears in Frontier for his Declan Harp role is a throwing tomahawk hatchet made with natural steel and dark wood. This throwing hawk is exactly the same, if the handle comes in a lighter brown, you can always paint it (dark walnut paint color). Finally, Declan Harp's emblematic weapon: the stag antler knives. Wedge them between your pants and a dark leather belt. If you wish, you can also add a blade at your local cutler.